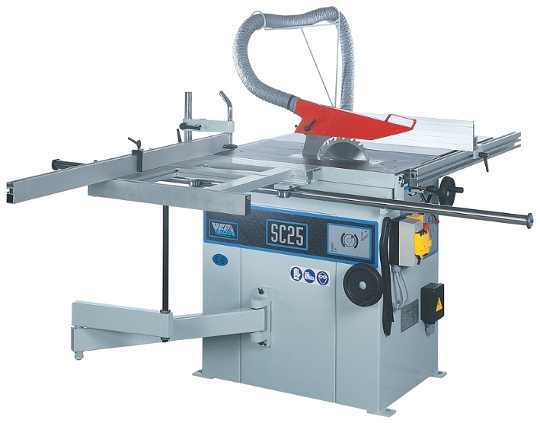 A woodworking workshop machine designed mainly for rip sawing. Originally driven by a water wheel, a bench saw of about 48" diameter. The very first circular saws were known to Dr. Hooke 1636-1703, but they were very small and used for cutting clock wheels, so in effect they were milling cutters rather than saws. What we do know is that first the true circular saw made it's appearance at the Royal Dockyard in Portsmouth UK soon after 1800. General Sir Sam Bentham is attributed with it's invention, but it seems most likely that Mark Isambard Brunel was the designer. 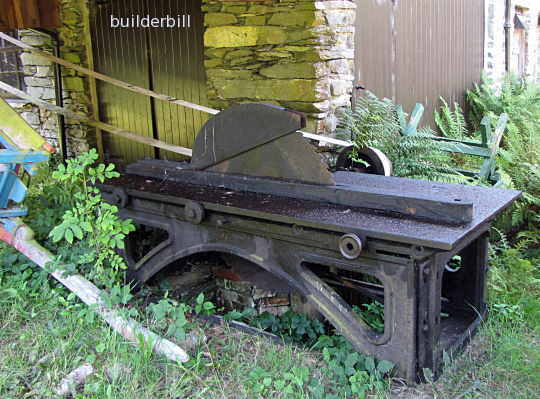 (See Brunel's mortise machine here). The bench saw above is at Stott Park Bobbin Mill in Cumbria, UK. The factory was purpose built in 1835 and it closed down in 1971. 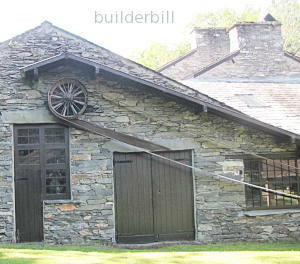 The mill ran for around 50 years powered by a water wheel and was then converted to steam when production increased. It would be a fair guess that this was the one and only rip saw here. Which gives it a working life of a hundred and thirty years. Above is what I call a small panel saw. It is a table saw with everything that one requires, the guard, riving knife, the adjustable fence, and tilting blade etc. But it has the extra swinging arm sliding table to support large sheets of MDF board and the like for a modern cabinet shop. The image comes from Veba which is an Italian company. If you come from North America you may not know of the excellent reputation that the Italian manufacturers have regarding the building of quality woodworking machines. I owned one particular 24"circular saw bench for over 20 years, it was second hand when I bought it and I sold it when I shut my workshop down to a young guy. I have no doubt that it is still working. These machines when built solid for professional work just keep on and on.